Ideal for direct moxibustion techniques it will protect the skin from burning and provides an adhesive surface for attaching moxa. 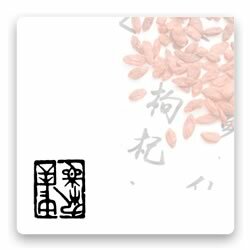 Can be used to soothe skin after moxibustion. Manufactured from soothing and warming ingredients: Zi Gen (Lithospermum), Sesame oil, beeswax and Dang Gui (Angelica sinensis).